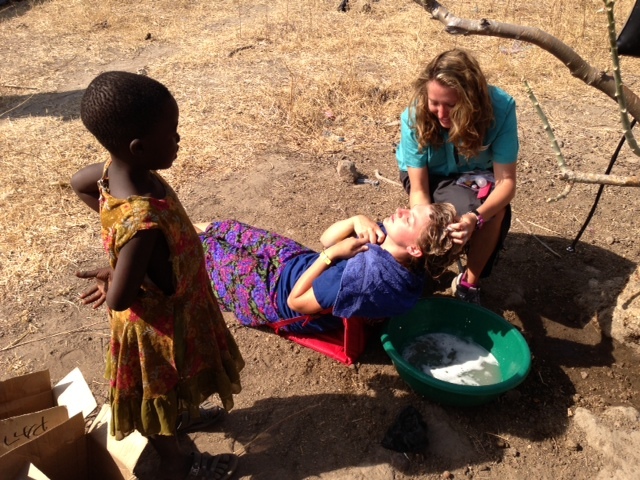 The team has been back from Tanzania for more than two weeks now. With the return to work and other activities it’s almost impossible to not get drawn back into the fast-paced, busy schedule of the average American. I want to share my reflections on this year’s trip while things are still fresh on my heart and mind. First of all I consider it a privilege and a blessing to participate in this mission trip. My family was well represented. The Sinclairs have a legacy of faith that we have seen demonstrated in the life of our father and grandfather, “Babu.” I’ve observed my Dad’s servant-leadership for my entire life. His passion for Christ and reaching the lost is something I hope to pass on to my own children and grand children. The question I get asked the most is, “What did you do in Tanzania?” My mind immediately begins the impossible task of trying to condense 2 weeks worth of sights, sounds, and experiences into a two-minute summary. Here’s my attempt to answer the following question: What did we do? Our mornings were spent conducting “door-to-door” evangelism visits with the Safwa and the local church members. We went to homes in and near the towns of Mjele and Mjelenge. We even got an opportunity to present the gospel via Bible Storying in the local secondary school. The gospel was presented to people from the Safwa, Songwe, Sukuma, Taturu, and Maasi tribes. The names and locations of those who made decisions for Christ were given to local congregations for follow-up. Some of the new believers even committed to host a new “home church” in the more remote locations. In all, approximately 50-60 people accepted Christ, with even more rededications. In the afternoons, we trained 25 of the 36 Safwa missionaries who joined us in Mjele. 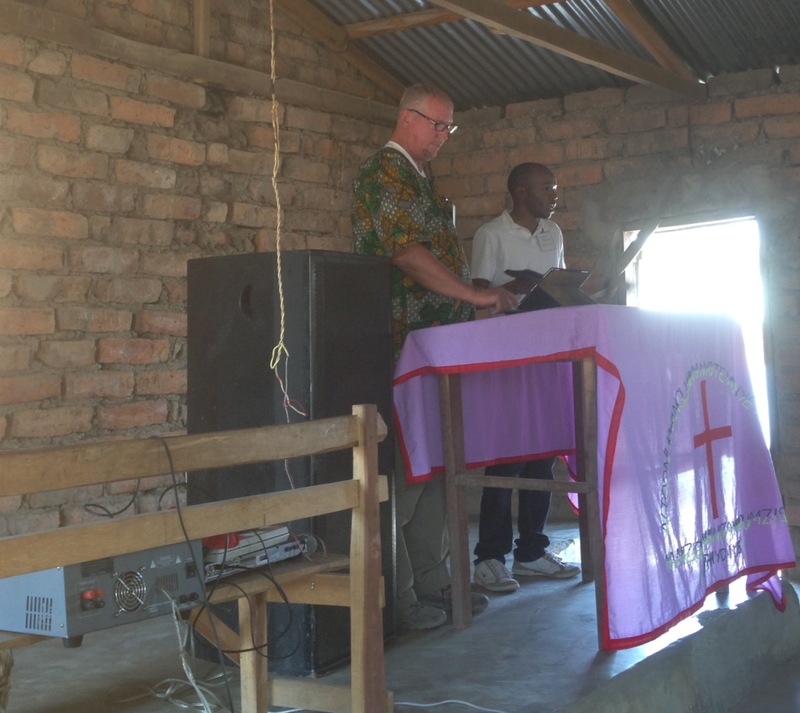 The team is made up of some pastors, but mostly lay people from about 20 congregations in the Mbeya region of Tanzania. Team members have committed to memorizing more than 70 Bible stories and participating in evangelism efforts in the area. We provided an evangelism/discipleship training method based on Luke 10 called the “Church Planting Movement.” As a part of that training, we helped the Safwa develop a strategy for reaching and discipling the 35,000 member Bungu tribe, an unreached people group in western Tanzania. The CPM lessons emphasized the need for discipleship training. The afternoons also gave an opportunity to conduct doctrinal training for the local congregation in Mjele. Our group taught lessons on the Holy Spirit, but also fielded questions on a wide range of topics including demonic possession and polygamy. On Sunday, our team conducted Sunday school and preaching at 4 different locations. Each team had a very unique experience. My daughter, Kaylyn, and I went two to three miles outside of Mjele to where the Sukuma and Taturu tribes lived. We thought we were going to a church building in a village, but our vehicle stopped in the middle of the woods where we saw only two houses. As soon as we got out, the Safwa began to sing hymns, and within 15 minutes 35 people had gathered. Everyone sat on the trunk of a downed tree and listened to the lesson and the preaching. There were 10 decisions for Christ that morning, and a new “home church” was born. Pretty exciting stuff! Forty solar-powered audio players were left for use in Tanzania. Each audio player was loaded with 72 Bible stories and 10 “True Love Waits” lessons recorded in Swahili. The Safwa will distribute them to local congregations in the Mbeya area. A few will be distributed by a Zambian missionary doing outreach with the Sukuma tribe in the Usangu valley. Our translators, all college students with the Tanzanian Fellowship of Evangelical Students based in Dar Es Salaam, received flash drives loaded with these same bible stories. They also received audio players for their evangelism efforts. At $15 each these audio players are a cost-effective tool to present the gospel. Sure, the trip was a blessing. It was fun and exciting, but was it successful? We may not know the real answer until eternity, but I think the answer is yes. Here’s why. • People were reached with the gospel of Jesus Christ. • The Safwa were excited to implement the principles that were covered in the training. • The local church and the Safwa were strengthened and encouraged by our teaching and fellowship. • We were strengthened and encouraged by seeing how God used us in ministry, and by new and renewed relationships with our African brothers and sisters in Christ. • We provided resources and helped equip the Tanzanians to reach their country for Christ. We arrived safely in Dar Es Salaam last night. It took a little longer than we had planned, but all went well. We are at the airport checked in and ready to go. I will provide one last update to let those who are meeting us in Houston know if the flight from Dubai leaves on time. Once again, thank you for your continued prayers for the team. It has been a great trip. The team spent the last day getting some rest at Rusha, our midway point from Mjele to Dar Es Saalm. It is now 8:40 am and we are on the road making our final push to Dar. We are expecting a 10 hour trip today. Please continue to lift us up as we travel. The wind and dust is absolutely brutal this evening, but we had a fantastic day of ministry. Me and Carol covered preaching and teaching assignments in Mjele. Ross, Kaylyn, and Curtis handled responsibilities at the Taturu village. Reagan, Shelby, and Holloway were at the church in Njelenge (preaching twice) and Bill, Terry, and Michelle hiked for 1.5 hours into and 2 hours out of the mountains to visit a Nsongwe village. Bill and his team left at 7:00 am and did not return until 7:00 pm. Bill assured me this morning they had all the logistical details worked out and that they were taking a short cut. I told him if his team did not return that his last recorded words would be “I’m taking a short cut.” The team was led up the steep trail by an 80 year old pastor wearing street shoes. After a few missed rendezvous opportunities we finally picked them up a couple of hours before dark. During the trip, a member of a neighboring Maasi tribe wanted to know why their village has not been visited. This problem will be solved tomorrow as a team will return to the mountains. Another team will also visit the local school tomorrow to share the gospel. While our time slot for this opportunity is very narrow, it will be another great opportunity to reach the community. Please continue to lift us up as our last full day of ministry is tomorrow. It’s been encouraging to see the response to the gospel in this area. My vehicle got lost. Sooner or later it just had to happen. We normally stay on the roads, but both trips into bush to visit Maasi villages over the past two days deviated from well-marked roads. As we began our journey back, trails that looked like roads played out. Myself and two others got out of the vehicle to try and help clear a path. I found motorcycle tracks heading to or coming from the direction we needed to be going and convinced one of the locals we should follow the tracks. Note: When the locals shrug their shoulders about your location or where we need to go, you’re in trouble. Regardless, we finally emerged onto the main road about 4 miles from our village. It was another great adventure. Did I mention flat tire #4? No problem! Shelby finally earned her name today. We realized she could not describe the community bathroom known as the choo (show). She is now our “choo phob.” She has since found it and is still underwhelmed with its simplicity. Tomorrow is Sunday and the team will divide into 4 groups to lead church in the surrounding villages. Preaching responsibilities have fallen on Bill, Ross, Reagan, and myself. Terry, Kaylyn, Shelby, and Carol will lead church-wide Bible studies. Please pray for the teams as many of the members are taking on these roles for the first time. Thank you for your prayers regarding the wind. It was a perfect day and we have a cool breeze this evening. We continue to work through a few technical issues with the video equipment, but daylight should give us the light we need to work through the problem. We had a 3rd tire go flat this morning. The drivers have the situation under control, but you should have seen the size of stick they pulled out of tire this morning! Ministry went well again today in the villages as did the cultural traditions and church plant training. Over the past two days, several of the villagers have shared food after we visited with them (mazungu, peanuts, potatoes, etc.). The Colonel put us all to shame as he came back to camp today with a live chicken. What a guy! We have decided to name it Karl. No particular reason to do this, but it just seemed like the right thing to do. Being the generous man that he is, the Colonel has offered it up as a part of either lunch or supper tomorrow. No worries as we’re bringing home the head for a shoulder mount. It’s a tradition with the team that each member earns a nickname. Kaylyn has earned the name as the “Noodler” for being able to do tricks with spaghetti. Reagan has earned the name of “100 Cows”. The locals tell me that she bring that much as a bride and that I should be proud. I’m not sure how I feel about that, but I’m proud of her anyway. The ministry schedule is constantly changing and several team members will have some expanded roles in the days to come. As this develops I will provide more details. Please continue to lift us up in prayer. We traveled to some neighboring villages to do storying today. Well, at least one was neighboring. The other was a 2 hour trip into the mountains. The planned arrival of that group at 1:00 pm back in camp did not occur until 4:30 pm and reinforced the traditional motto for the Tanzanian mission team — Semper Gumby (always flexible). Several decisions for Christ were made today with team. We also did training with local church on resolving conflict with traditional beliefs and what the Bible teaches. It was a lively session with great exchange between the participants. These sessions will continue through the weekend. Our camp weathered several dust devils today and gusty winds this afternoon. Our equipment is holding up well. The dry and dusty conditions reminded me of my college days in Lubbock. Note to the team: do not take a shower in a dust storm, it becomes a mud bath. I’m not sure what goes on outside the tent at around 3:30 am to 5:00 am, but the dogs begin to howl. Please continue to lift us up and add a kinder/more gentle breeze to that list.